FIFA world cup is always a talk for everybody. And this time, biggest search engine taking it into account, surely changed scenario. 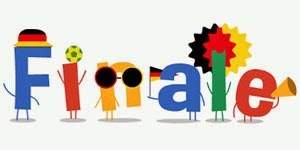 Here are 55+ Google doodle GIF designs adorably celebrating the FIFA World Cup. With these simple yet creative doodles, Google has again proved that it is the king of designs. Google has done it again – catching up thousands of minds with its doodle. When football players were busy in playing football, the designer team of Google was busy in playing the designs. The theme, colors, scribbles & numerous designs! Google has caught color of every event & connected it with social days too…not to forget Father’s day doodle which was two Os walking hand in hand having football in hand! Google has washed up the football saga with its realistic doodles. Google introduced animated images that had been popping up on the Google Home throughout the whole tournament. Google did not only introduce the doodle for each day but it also introduced numbers of doodles for a day. Yes we are talking about Uruguay and Costa Rica match. Google changed it after each goal scored, showing the irritated coach & crowd happily reacting to each goal of their team. Everybody just loved it. With these doodles, Google, once again, has proved that Google is the kingdom where excellent designers reside. On its World Cup Doodle Blog, the team has been posting the thought process of each doodle. Here we have compiled some interesting doodles of FIFA World Cup for your inspiration. Be ready to kick it with these inspirations!